New fast-charging lithium-in batteries were recently unveiled by workers from Watt Lab — an arm of the Central Research Institute at Huawei Technology Corporation — at the recent 56th Battery Symposium in Japan, according to recent reports. The newly unveiled batteries reportedly charge ~10 times faster than conventional lithium-ion batteries do, and can recharge to 50% capacity in only a couple of minutes (for batteries of lower sizes). 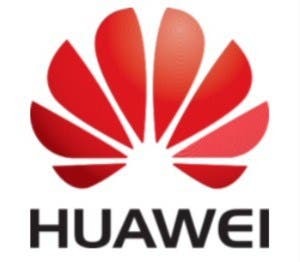 Huawei presented videos of the two types of quick charging lithium-ion batteries: one battery with a 600 mAh capacity that can be charged to 68% capacity in two minutes; another with a 3000 mAh capacity and an energy density above 620 Wh/L, which can be charged to 48% capacity in five minutes to allow ten hours of phone call on Huawei mobile phones. To develop the fast-charing cells, Huawei engineers bonded heteroatoms to the graphite molecules in the anode. Introducing defects and heteroatom and/or functional groups into carbonaceous anode materials has been shown in other work to increase available active sites and effectively modulate the electronic and chemical character of the anode material. Huawei stated that the heteroatoms increase the charging speed of batteries without decreasing energy density or battery life. Of course that’s what they would say, though, isn’t it? We’ll have to wait until these are independently tested (or such independent test results are revealed) to comment further on this. If true, the results do sound quite nice, though, don’t they? I wonder if the improvements with regard to charging rates can scale up to the battery pack sizes used in EVs?